THE SKY Blues are gearing for their first trip to Wembley in 30 years when they take on Oxford United in the final of the Checkatrade Trophy – and you could be there to cheer Russell Slade’s side on to victory. 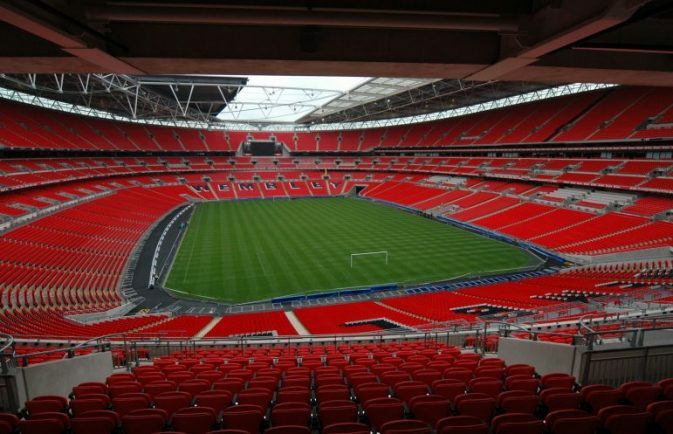 The Coventry Observer has teamed up with Checkatrade, official title sponsor of the Checkatrade Trophy, to offer ten lucky fans the once in a lifetime chance to win four tickets to Wembley for the match on April 2. Slade’s side are heading to Wembley for the first time since 1987 when they famously beat Tottenham Hotspur 3-2 to lift the FA Cup for the only time in their history. The Sky Blues will be looking to give their fans something to celebrate having gone through the competition unbeaten after finishing top of their group. Victories over Crawley, Brighton Under-23s, Swansea Under-23s and Wycombe booked City their place at Wembley where they will face Oxford who beat Luton 3-2 in the other semi-final. To be in with a chance of winning four tickets, simply answer the following question. Who did Coventry City the last time they played at Wembley to lift the 1987 FA Cup? Send you answer along with a name, address, email and phone number to 45 The Parade, Leamington Spa, CV32 4BL. You can also email your answers to competitions@coventryobserver.co.uk. The competition close at 12pm Monday, March 13. Checkatrade have fever pitch and are offering new customers 10 per cent off your first year of membership. 1. The prize consists of four tickets for ten winners to the game against Oxford United at Wembley on April 2nd 2017. 4. Fans are reminded that these tickets are in the Coventry City end and seats are amongst their supporters. Any away supporters found in home areas may be ejected from the ground either for the purposes of their own safety or for any other reason. 7. The competition closes at 12pm on March 13.